Congratulations! You’re about to take the first step in joining the 21.7% of Americans who actually meet the guidelines for aerobic and muscle-strengthening activity on a weekly basis! Deciding that you are going to learn how to start working out is a huge step. Many people say it’s hard, but the real secret to learning how to start working out is actually making the decision to do it. This means you’re ready and willing to learn the best approach and not just interested in ‘talking the talk’. The natural first step is to talk to people you know who are already committed to working out or to look online for information on how to get started. In most cases, you'll get sound advice, but you could end up with a lot of conflicting information too, which will make it much more difficult to know how to start working out! With my support, you can start working out according to your current level of ability. Follow the steps in this article and I'll get you on track. You could start off by trying our free 24-minute workout! Exercise or physical activity is one of the cornerstones of good health. Along with a healthy eating habit, you can maintain a healthy weight, remain more active as you age, and even prevent an array of long-term illnesses such as heart disease, high blood pressure, diabetes and even cancer. Working out is about more than just looking good on the beach; it’s about being there for your children as they grow up and being able to keep up with them! We’ve all been there; an impending wedding, beach holiday or even a health scare suddenly makes you realize you need to get into shape. This is the motivation pushing you to discover how to start working out. Motivation can be a powerful tool. It might give you a deadline to get in shape for, or push you to work out. But, the reason for your motivation will eventually pass and you’ll need to make it a habit to keep it going! This is why it's essential to focus on your motivation today and use it to start exercising….today! Visualize your motivation and use it to ensure you exercise every day for thirty minutes. It doesn’t matter what the exercise is; you are simply building the habit. Before you can start working out you need to know where you are starting from. This is important, as it will allow you to track your progress and celebrate your success. The first step is to weigh yourself, measure your waist, and if you can, have your body-fat percentage taken. You'll also need to consider what your current level of activity is. This is an essential part of learning how to start working out but one that is often overlooked. You shouldn’t start running 5 miles if you don’t do any exercise at the moment. You need to assess your current abilities and base your new training schedule on this information. You have to know where you are heading with your workout plan to ensure it is successful. Your initial plan was to get you started; now you need to complement your knowledge regarding how to start working out by establishing an overall goal. This could be to lose 10 lbs or to gain lean muscle. 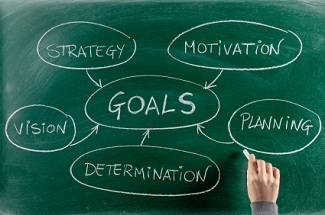 Once you know what you want to achieve you’ll be able to create smaller, achievable goals. Ideally, these should be on a weekly basis. Your focus will be on achieving these goals; the overall aim will take care of itself if you keep hitting the smaller targets. In the process, you will continue to develop the workout habit and improve your physical wellbeing. Getting started involves acknowledging that you may not be at the level you want to be at your chosen activity, but that you are capable of getting there. The key is choosing an activity you enjoy; this might be running, yoga or lifting weights. By choosing something you enjoy you’re more likely to continue doing it. You then need to develop your training plan. This is basically the activity you enjoy 3 or 4 times a week. Schedule it into your diary and stick to your schedule. For the first 3 or 4 weeks, you should be looking to complete the activity without pushing yourself too hard. You want to build the habit and get your body accustomed to exercise again. This will help to ensure you continue exercising long term and you do not cause yourself an injury. Consistency is the best approach, your progress may be slow but the culmination of all your exercises can be significant. Remember completing any activity regularly is all that matters at this stage. It doesn’t matter how hard you try, you simply can’t out exercise a bad diet. Whether you are looking to lose weight or gain muscle it’s important to consider what food you are placing into your body. A healthy diet involves consuming 40% carbohydrates, 35% protein, and 25% fat. You can get an idea of what a good meal plan is by taking a look at the free 1-day meal plan from the Fit Father Project. We can offer many other avenues of support and advice regarding the right diet, but the most important thing you should do is look at your preparation. Once you understand what you should be eating, start preparing the meals in advance; this eliminates the excuse of being too tired to cook. Any exercise is good at the start; building a habit is what is important. Less is more! You must start according to your ability to avoid injuries. Record, check and monitor your vitals. Waist size can often be a better indicator of success than the scales. Create a plan and an overall goal; it will help to inspire you. Your diet can make a huge difference to your success in achieving results. Focus on this before you start working out. In addition, you should make yourself accountable. You can do this by logging your progress but it is generally more effective to seek the support of others. We at the Fit Father Project are ready to help. Sign up for the FF30X program and meet others who will help to guide you. As well as supporting you, they will provide you with a reason to improve and stick to your workout. After all, no one wants to be the one who hasn’t made any progress! Join the FF30X program today as you learn how to start working out successfully. You can share your results and inspire others to follow you! *Please know that weight loss results & health changes/improvements vary from individual to individual; you may not achieve similar results. Always consult with your doctor before making health decisions. This is not medical advice – simply very well-researched info on how to start working out.